Deputy Brian Stanley of Sinn Féin has said that some of the people who the Minister said have paid were entitled to exemptions. 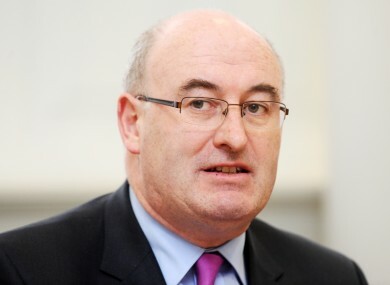 SINN FÉIN SPOKESPERSON on the environment, community and local government, Brian Stanley TD, has accused Minister Phil Hogan of “spinning into the New Year” on the issue of the Household Charge. Deputy Brian Stanley was responding to Minister Hogan’s statement today that 70 per cent of eligible households have paid the Household Charge. The Minister said that over 1.1 million people have now paid the charge, with €113.5 million having been collected and reallocated to local authorities. Deputy Stanley told RTÉ’s Drivetime today that included in the numbers who Minister Hogan says have complied with the charge are some people entitled to exemptions and waivers. Stanley described the household charge as “a disaster for this government”. The Minister continues to spin his way from this year into the next. A significant 30 per cent of households have not paid this unjust charge posing a serious challenge for the government as it attempts to impose their new Fianna Fail-style family home tax. He said Sinn Féin remain opposed to the household charge and the party will redouble its efforts to overturn the family home tax which follows in the new year. The Revenue Commissioners will begin to collect funds for the charge from July. From the beginning of 2013, the charge will rise to €130, rising to €145 in June, and €200 in July. Deputy Stanley also said that out of those who have paid, “many are extremely angry at this charge”. He also denied that Sinn Féin had told people no to pay the charge, saying they are “not telling people whether to pay or not to pay – that is an adult choice to make”. Email “Hogan accused of "spin" over Household Charge figures ”. Feedback on “Hogan accused of "spin" over Household Charge figures ”.